Don't miss your chance to check out our maker this month, Joe Walsh! Meet Joe Walsh: a Graphic Communication Design graduate of the University of Cincinnati DAAP who has worked in illustration, animation and film. He love's the project to project life of a designer and uses his time to pursue music, movies, design, photography, Illustration, meditation, dancing, conversation, and performance with an urge to expand my understanding. He even wrote this musical with his friends once! Earlier this month people came to Handzy and got the opportunity to meet Joe Walsh in the flesh, hang out, drink beers and chat about his work. He even signed some prints! 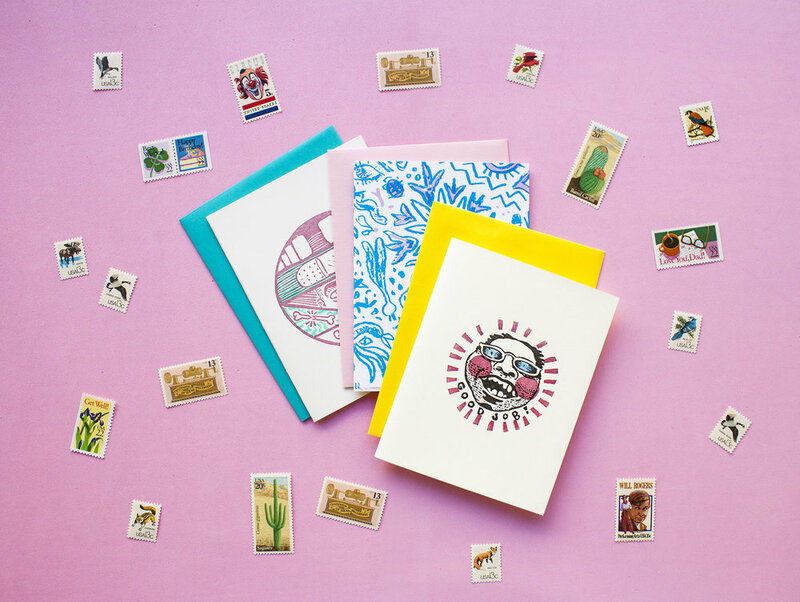 We've still got a pretty awesome selection of his prints, pins and greeting cards in the shop! I could go on and on but you can just look at the photos in this post instead. If you're reading this too late it's ok! Joe has a web shop and is on social media. Click here to follow him on Instagram!